It's BUY ONE GET ONE FREE @btheproduct.com! Receive a free 2oz Leave It In when you purchase the 8oz. 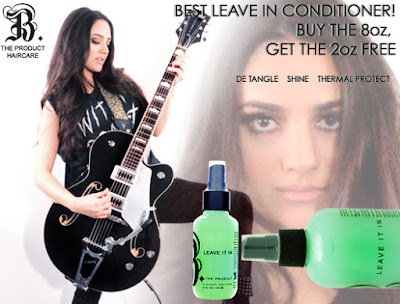 The LEAVE IT IN is the lightest and most effective Leave In Conditioner that easily de tangles, adds shine and protects your hair from styling with hot tools. Great for all textures, The Leave It In works especially well with fine hair keeping the volume and eliminating frizz. 2oz Leave It In value-$8.50, yours FREE with the 8oz Leave It In purchase.